Here is your best of the grabs from the world of FOAMed and all it offers. Sifted from amongst the best POCUS pips, paper snips, video clips and historical trips……as I can’t think of any other anecdotal rhyming links; here we go! The REFRESH Trial is soon underway! Think the 30ml/kg is a tad too much…maybe this trial will reveal all? We await the results with baited breath. Should we change our APROCCHSS to sepsis? Adrian Wong and TBL take us through this trial. Does dual therapy with the addition of fludrocortisone to normal corticosteroid therapy improve outcomes in sepsis? You’re chasing the wrong bird here! This is one of the best blogs I have read recently and it challenges the dogma we all chase….mortality. Is it time to trash the stethoscope? This is a lovely piece from Anaesthesia on the subject of whether POCUS is taking over the world. I realise there are indications for auscultation still…..so let’s not get too bold! Manu Malbrain delivers us a cracker! Take a look at the blog iFAD have popped out this last week. It focusses on the 4D’s of IV fluid therapy. We got a mention too! Brilliant stuff as ever and we are all looking forward to the meeting in Amsterdam later this year. Click the pic to take you to the VLOG too! Click the below pic to take you to the Amsterdam meeting detail….we hope to see you all there folks! There have been so many studies that have brought this into question in cardiac arrest…but are minutes wasted in administering it actually mortality? A fascinating and very novel approach to hypertension here! Here is one that might stop the HEMS lot! So cardiac arrest in the community is often met with a quick first response team, either in the form of the helimed team or the first response car. They can then initiate cooling of the patient at scene, after ROSC and bring them in. But was there a benefit to this. This meta analysis tells us….. The lung point may NOT be the pointer!! Here is a case report, and there always is at least one, demonstrating that the lung point doesn’t always point to trouble…read on! NMB’s might hold a bit of a key in ARDS? So was there a reason why NMB usage in some of the big trials had a mortality benefit…it could be to do with dampening of the overall inflammatory response?? Could the ‘A’ in ARDS be Aspirin? This meta analysis looked at whether anti-platelet therapy decreased the incidence of ARDS in those susceptible to the development of the condition. Breathless? Use a stethoscope? You may not need to…. Take a look at the algorithm for the US guided diagnosis of dyspnoea. Click the pic to see some of the other images and read the background to the protocol…makes total sense! Remember all about each Echo View?! Here it is in one slide…brilliant! When you add music…it seems so much better!! This is fabulous…follows on from Kylie’s infographic. What’s the cause of dyspnoea! Don’t let the “Big 4” mimickers fool you! How about this for a draft algorithm of A,B,C,D,E with a difference?! Check out what Kylie Baker has proposed as a scanning alternative to the good old ‘A,B,C’s’! Why is this 9 year old so breathless and oedematous?? Right down to the abdominal aorta out be precise! Why was the AOV Incompetent? The liver looks suspicious…where’s the primary? Dialysis catheters can get dirty!! Check out the vegetations on this one….! Cheers too the Mitral Valve! A ‘glass-ical’ representation of how the MV directs blood to the LVOT…nice! LV Aneurysm…send in the paratroops! Watch this failing LV parachute device, they are inserted to cordon off LV aneurysms. A nice slide-set and podcast on the subject. What are the stats on cardiac arrest? Take a look at a lot of the work Rob Hackett has done. In particular, a lot on the ‘Theatre hat name’ system and prevention of air embolism with open CVP line circuits. It’s all about the past! Check out this site which brings us a fascinating insight into the past practices and crazy foibles that got us to where we are today in the medical world. All I can say is…someone had to try it! Follow him to get one a week! IV Lidocaine for renal colic…surely not?! A nice infographic on an interesting topic from the EMDocs. 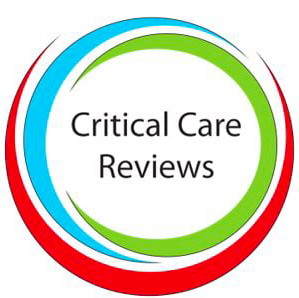 Salim Rezaie et al discuss the IV fluid debate and in particular, SALT-ED. Check out Jacob Avila as he takes us through the fascia iliac block.